Sometimes when I’m rocking my younger son, or cuddled up telling stories with my older son, I close my eyes for a few minutes, and try to take a snapshot of that moment, to really remember every second. The smell of their hair, the light in their eyes, the clasp of their little fingers on my hand, their themness. A morning wouldn’t be a morning without waking up to my 5 year old’s shout of “Mommy!” and feeling my 21 month old’s soft hair tickle my cheek as we cuddle before heading downstairs. This is such an integral part of my day that I can’t even imagine it being any other way. But some day it won’t. Some day, I will wake them up. Some day, they won’t want to cuddle in the morning. Some day, they will wake up somewhere else every morning. I was thinking it doesn’t seem fair. Why can’t I trade one of those days in the (far distant) future when I can sleep in* for one of these days. Sleep in now, when I need it, and give future me a day with my kids when they’re still little. Days I can already almost feel my future self missing. I decided my “mental snapshots” are not to be trusted with memories this precious. I wish I kept journals. I want to be the kind of person who records everything. But, I’m not. Recently, I have been writing quick letters to myself. Or, if I don’t have time for that, I write down a simple “Snapshot of Today,” usually after the kids go to bed, when my memories are still fresh. These “snapshots” are brief notes in which I try to capture the little moments that make up my days. I also take lots of actual snapshots using my phone. Someday I will join the two together, my pictures, and my words. But I think that’s a project for future Carolyn. *Right?? Please? Someone, tell me I will sleep past 6:00 am in the future! 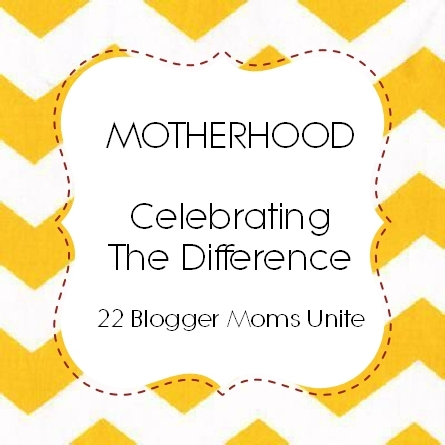 Check out all the Motherhood posts at Inspired by Family! Each blogger will share a parenting story on whatever topic of her choice. Stop by to laugh, cry and be encouraged in your parenting journey. We hope you walk away encouraged! Celebrating the differences of Motherhood is brought to you by our host, Inspired by Family, and by the following contributing blogs: Kids Activities Blog, Rainbows within Reach, Powerful Mothering, Fun-a-Day, The Pleasantest Thing, Royal Baloo, Laly Mom, True Aim Education, Kids Stuff World, Milk and Cuddles, The Imagination Laboratory, Smiling like Sunshine, Teach Beside Me, JDaniel 4’s Mom, Kitchen Counter Chronicle, My Nearest and Dearest, Nate and Rachel, Two-Daloo, Mamas Like Me, Mama Miss, One Mommy. Martys Musings and Mothering From Scratch.